Since my early childhood I have had a passion for LEGO. 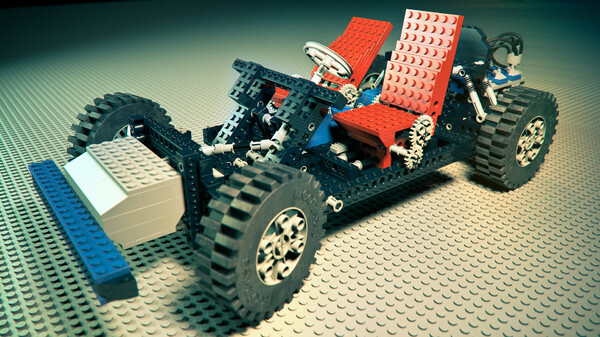 I just think the whole concept and design of LEGO is just brilliant, can't explain it really. 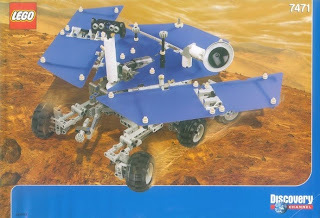 Through the years, LEGO Technics got my attention and my childhood favorite was the LEGO set 8860: the car chassis (see left). With 3 gears, a differential, backwheel suspension, 4 cilinder engine, 2 adjustable seats and frontwheel steering it was great to drive, but even greater to build. 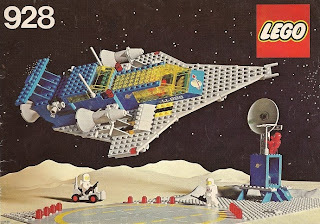 What is also great about LEGO is the fantastic connection to that other passion of mine: Space. The Space LEGO theme featuring astronauts and spaceships was introduced in 1978. It is one of the most expansive themes in LEGO's history, and contains over 360 individual sets. That's why I decided to put down here my all time top 5 favorite Space LEGO sets. So here we go! The Japanese space exploration mission Hayabusa was highly successfull and brought back tiny samples of an asteroid in 2010. 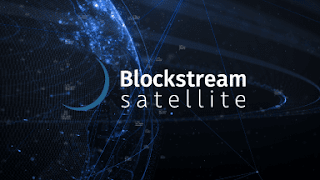 The mission was plagued by a great number of technical setbacks since its launch in 2003, but the project team was able to withstand all of them. The Japanese society got highly involved in the adventure over the years and Jun-ichiro Kawaguchi, the Hayabusa project manager, became a famous television personality. Then came along the japanese LEGO designer Daisuke who proposed a Hayabusa set to the LEGO CUUSOO programme. This programme works on top of a vast community of LEGO lovers that can vote on self designed LEGO models. With more than 1000 votes, LEGO will actually make an assessment whether it can make the concept into a real set to be sold in shops! This is what happened to the LEGO Hayabusa set in 2012, a big hit in Japan! Cool feature of this set is that a mini figurine of Jun-ichiro Kawaguchi is included. This great Space Shuttle model from 1996 has a number of cool features. 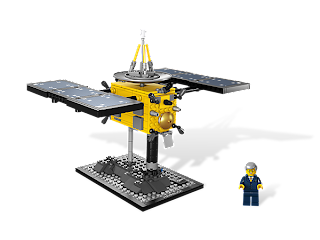 It is able to open its cargo bay, and deploy a satellite with a crane. Most cool feature is fibre optics placed close to the main engines. In the dark, it can be switched on to simulate the ignition of the engines. Check a full demonstration of the capabilities of this model below on YouTube. This set is not available yet as it just came out as the winner of the LEGO CUUSOO programme. This Mars Science Laboratory Curiosity Rover. Developed was developed by Perijove, an actual Jet Propulsion Laboratory mechanical engineer, who worked on building the real Curiosity rover that landed on Mars in August 2012. You can actually build it allready if you have the parts in house. Check out the step by step pdf instructions, and you will have Curiosity on your desk in no time! Had to pick this as my number one as I have fond memories of this model from looking at it in the LEGO brochure back in 1980 and playing with it at a friend's house. I had some smaller LEGO Classic Space sets that I still own and are on display in my office. I think these models are amongst my childhood experiences that sparked my interest for Space. Cool feature of the 928 model is that the Space cruiser had a small mechanism to operate a trunk that could be loaded with a small spacecraft and a rover. I think this mechanism in its turn sparked my interest for LEGO Technnics. 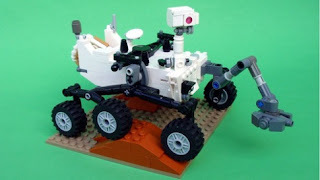 My guess is that this model is also one of the inspirations behind the current Moonbots project for secondary schools: a Google Lunar X PRIZE inspired contest where LEGO Mindstorm robots build by different schools compete in a number of challenges. So, that concludes my top 5 of Space LEGO sets. Hope you enjoyed it!